Now proudly serving areas including Raleigh, Apex, Cary, Morrisville and the surrounding areas! WOW 1 DAY PAINTING Raleigh We bring a fast, affordable and high quality solution for all interior or exterior residential, commercial and industrial painting projects. We respect your time as much as you do and provide the quality paint job you expect, in a timeline that is unexpected. 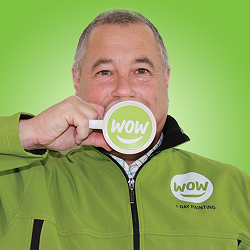 My name is Mike Patnesky and I am the proud owner of the WOW 1 DAY PAINTING franchise in Raleigh, North Carolina. My family and I have called Raleigh home for the past 29 years. After 32 years in the corporate world, I am fulfilling my dream of business ownership and looking forward to bringing a focus on you, the customer. I chose WOW 1 DAY PAINTING because of their culture and commitment to people and excellence in customer service. I am excited to offer you exceptional service, high-quality workmanship, a state of the art call center, online booking system and professional, friendly painters who truly care about making sure you are WOW’d! 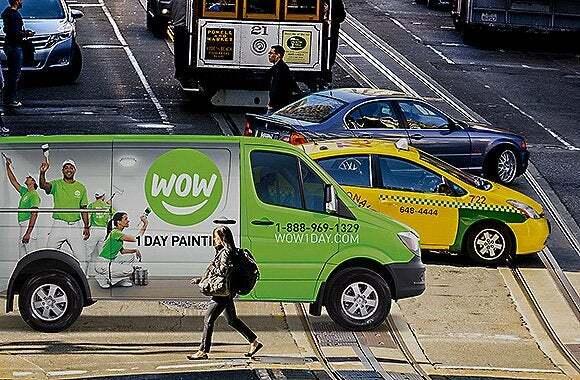 Whether you are moving, completing home renovations, or getting your home ready for guests; WOW 1 DAY PAINTING is your personal painting solution. From the busy streets of Falls of Neuse, Six Forks, Creedmoor and Glenwood to Cary, Apex, Morrisville, RTP and surrounding areas, our full-service Raleigh painting company makes your house feel more like a home, inside and out. We take care of all of those paint projects that would otherwise demand your free time, expensive equipment, and a great deal of effort. We make it fast and easy to tackle your to-do list more efficiently: SPEED + QUALITY =WOW! WOW 1 DAY PAINTING Raleigh is a full-service painting company that can tackle any interior or exterior painting project. To ensure the highest paint quality, we will clean the surface and conduct any minor repairs. Exterior Painting - vinyl siding, brick front, wood, cedar shingles, and even stucco. Deck Painting - front or back, large or small, we make your patio feel more like a palace. Fence Painting - Nature dishes out punishing wear-and-tear, but we can "paint it new" again! Drywall Repair - keep dents, dings, and holes from ruining the look of your interior walls. Cabinet Painting - update your kitchen or laundry room with a fresh coat of paint. Wallpaper removal - whether it's dingy, ugly, or just plain old, we'll make it vanish like magic. Popcorn Ceiling Removal - Make your home look and feel more modern. Trim Painting - bring out the best in chair rails, crown molding, door frames, and more. Fast - You won't believe what a difference a day makes! Thorough - We leave our work area spotless so you can enjoy the results. Reliable - We show up on time and finish on time to keep your schedule running smoothly. Professional - Our uniformed painting team always arrives in our branded, fully-stocked vans! Schedule Our Raleigh Painters Today! When we say that we deliver the quality you expect in a timeline that’s unexpected, we mean it! We take the hassle out of painting your home, from the time you schedule your free estimate to the moment we show you the finished results. 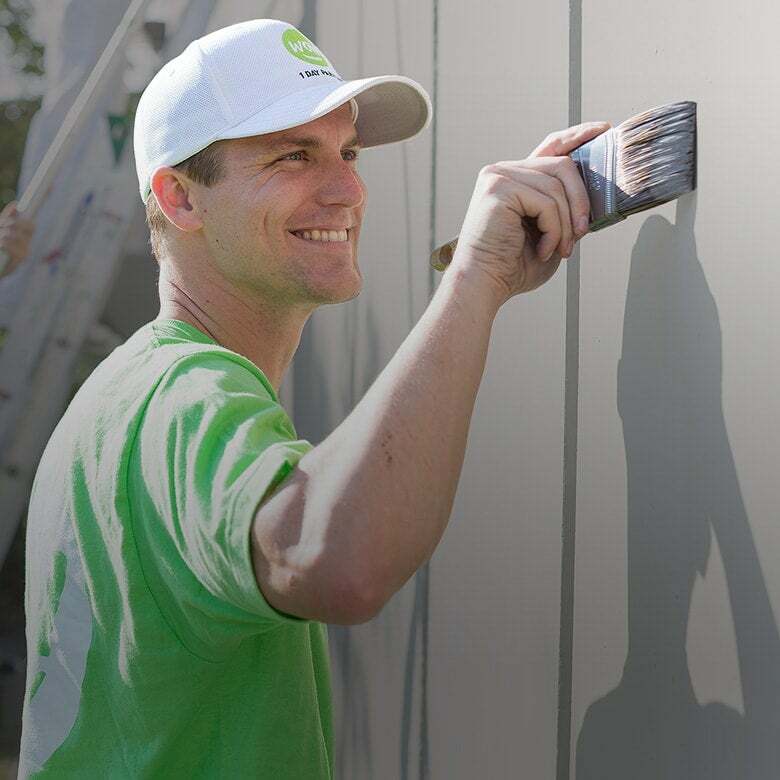 While our company concept is based on our speed, we're equally famous as Raleigh house painters because our professional painting results speak for themselves. We can’t wait to WOW you - schedule our Raleigh painters today! Blink and You'll Miss Us!